if you need a custom order or a greater quantity than I have listed please convo and I'll set up a special listing just for you. 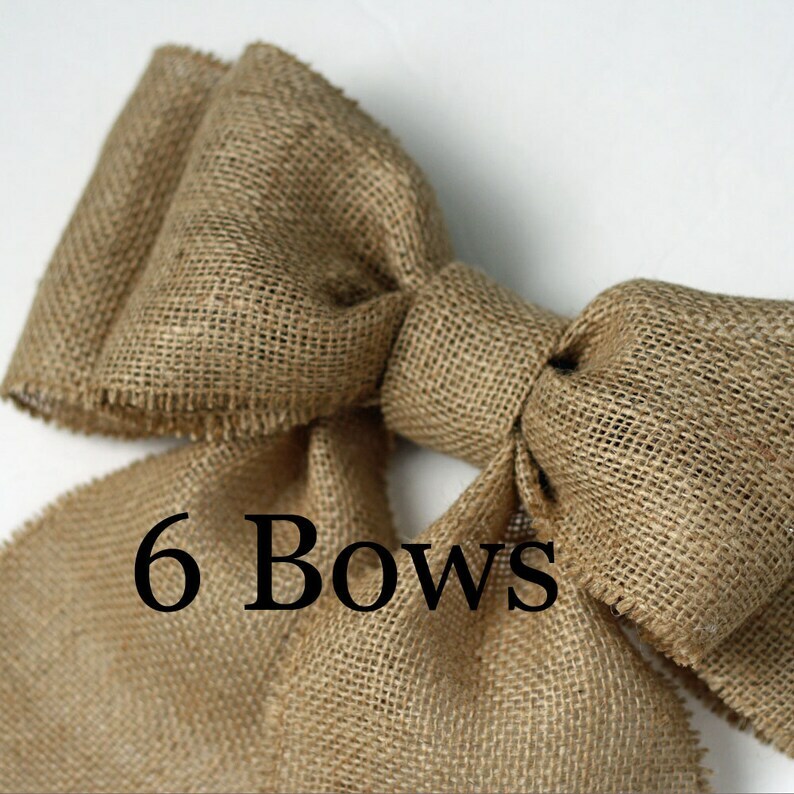 Double loop bows are handmade from 5"burlap ribbon with finished edges. Perfect for wreaths, rustic wedding decor, or home decor. Use them for your wedding and then reuse them throughout your home. I use them throughout the year and also decorate a tree with them at Christmas. Buy more, save more. Ties on with a jute string attached to the back of the bow. each bow measures approx 12" wide with 16" tails; hangs approx 20" top to bottom; Ties are one yard long, end to end.